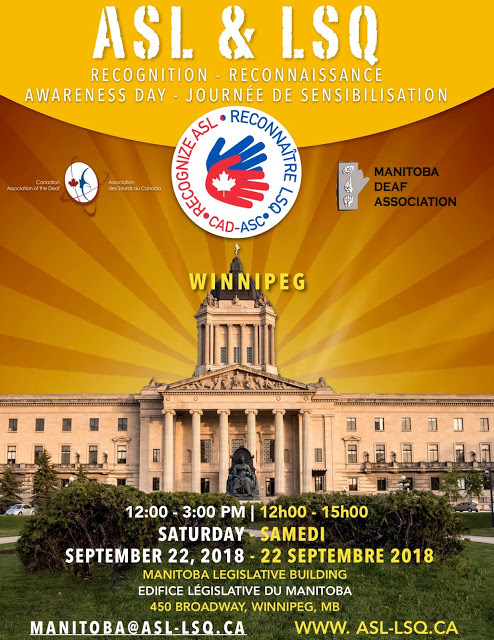 Deaf Centre Manitoba Inc.: FRIENDLY REMINDER!!! to wear RED and BLUE t-shirt for Saturday. Dress accordingly to weather RAIN or SHINE! Will provide Hot Beverages, come out and support this ASL/LSQ Rally! FRIENDLY REMINDER!!! to wear RED and BLUE t-shirt for Saturday. Dress accordingly to weather RAIN or SHINE! Will provide Hot Beverages, come out and support this ASL/LSQ Rally!